Classic without kitsch – this is what the elegant KSR MOTO Classic promises, available with both 50 and 125 cc engines. The KSR MOTO Classic has a special role amongst classic scooters. Its unique form demonstrates this: skilfully marked corners and edges without exaggerated chrome kitsch embody the true meaning of classic: timelessness and class. 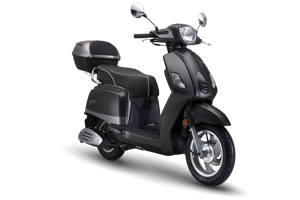 At the same time, this classic also has contemporary modernity, for example the integrated turn signals as well as the built-in technology. 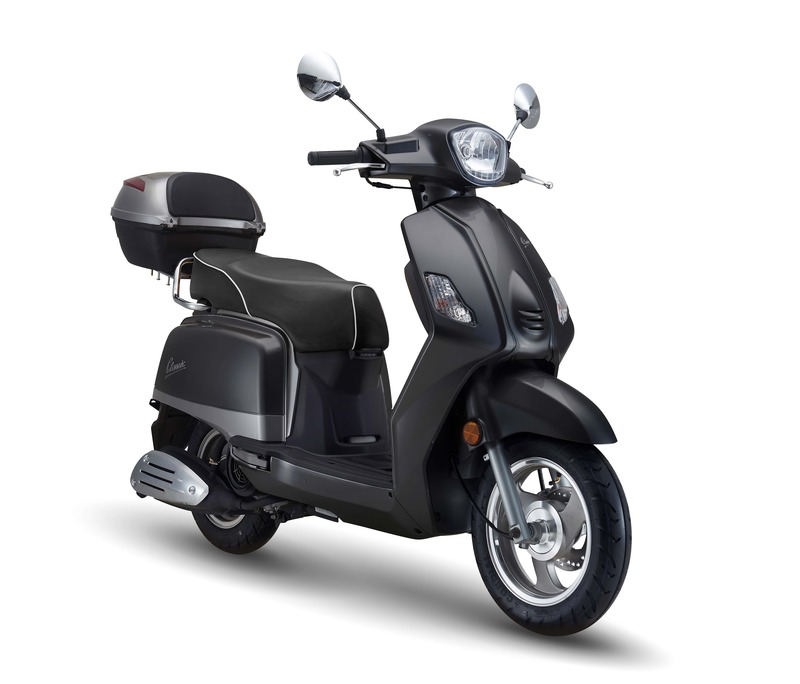 Both the 50 cc version and the 125 cc version have a modern, economical four-stroke engine, which of course comply with the strict Euro 4 emissions standard. 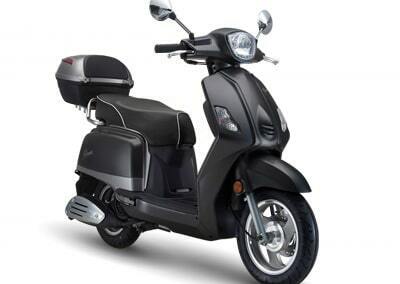 Thus, the KSR MOTO Classic is a timeless scooter that will provide many years of joy.